Keen to boost his flagging career, fading Hollywood action hero Jefferson Steele arrives in England to play King Lear in Stratford – only to find that this is not the birthplace of the Bard, but a sleepy Suffolk village. And instead of Kenneth Branagh and Dame Judi Dench, the cast are a bunch of amateurs trying to save their theatre from developers. Jefferson’s monstrous ego, vanity and insecurity are tested to the limit by the enthusiastic am-dram thespians. As acting worlds collide and Jefferson’s career implodes, he discovers some truths about himself – along with his inner Lear! 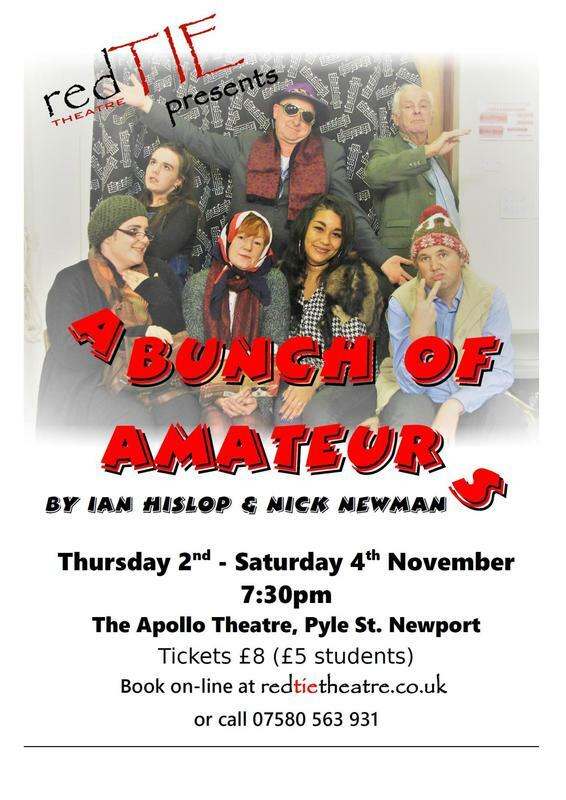 Written by Ian Hislop and Nick Newman, this is a not to be missed comedy. Cast: Steve Reading, Helen Reading, Rod Jones, Imogen Stone, Imogen Evans, Simon Lynch and Helen Clinton-Pacey. Directed by Maggie Cardew and Eve Fradgley.